Vertigo is a condition that gives an individual the feeling that everything around them is moving or spinning. Common symptoms include dizziness and loss of balance, and occasionally nausea, vomiting, sweating, and abnormal eye movements. It is important to note that vertigo is usually not a disease on its own, but rather is a symptom of some other underlying condition. Vertigo can be characterized as either subjective vertigo or objective vertigo. Subjective vertigo occurs when an individual feels that their body is moving or spinning. Objective vertigo occurs when an individual feels that the surroundings are moving. The symptoms of vertigo can last anywhere from a few seconds up to a few hours, and they may occur in short episodes or constantly. The onset of symptoms often occur as a result of movement or a change in position such as standing up or lying down. Vertigo is often caused by problems in the brain or the inner ear. The most common form of vertigo is known as Benign Paroxysmal Positional Vertigo (BPPV), where the sensation of motion and dizziness is triggered by sudden changes in head position or orientation. BPPV occurs when small crystals (called cupuloliths) fall off from the top of nerve endings inside of the inner ear. Under normal circumstances, the nerve endings interact with fluids in the ear canals in order to tell the brain where it is with respect to gravity. When the crystals fall off, they end up inside of the fluid and disrupt the normal fluid flow, resulting in false sensations of spinning. Head injuries or repetitive head motions are suspected to be the leading causes of the crystals becoming dislodged inside of the ear. Unfortunately, more than half of all BPPV diagnoses have no clear cause, and the symptoms often disappear within a few weeks just as mysteriously. If vertigo is accompanied by other symptoms such as numbness on one side of the body or difficulty speaking, it could be a sign of a stroke which requires immediate medical attention. If vertigo is accompanied by a fever and/or a stiff neck, it could be a sign of meningitis or another viral infection which also requires medical attention. Labyrinthitis and Meniere's disease are two other conditions that have symptoms similar to vertigo, but they can also be accompanied by decreased hearing and a ringing sound in the ears (tinnitus). Therefore, if you suspect either Labyrinthitis or Meniere's disease, you should consult your doctor since both require medical care. The best treatment for extreme symptoms of BPPV involves performing a series of head motions (called Epley maneuvers) that helps move the crystals out of the inner ear canals. Specially trained physicians or physical therapists should be consulted in order to ensure that the Epley maneuvers are performed correctly. The following home remedies can also be used for effective home care of vertigo. Ginkgo biloba is an herb that has been found to be very effective as a natural treatment for vertigo symptoms by boosting the amount of blood flow to the brain. A daily dosage of 200mg of ginkgo biloba has been found to be beneficial when experiencing vertigo. 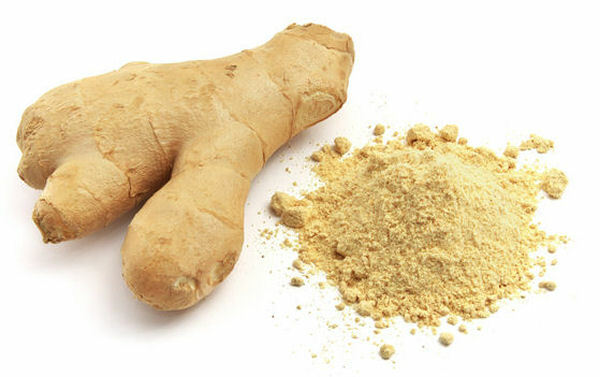 Ginger has been found to be extremely beneficial when experiencing nausea as a result of vertigo. An effective remedy is to make a ginger tea by peeling and grating one quarter inch of fresh ginger, boiling it for 5 minutes in one cup of water, and straining it into a mug. Drink this tea twice per day to help reduce the symptoms of vertigo. Recent research has shown that increasing the intake of Vitamin C can help ease the symptoms of vertigo. Vitamin C supplements of 600mg per day have been found to be effective. Some natural sources of Vitamin C include strawberries, green peppers, oranges, pineapple, broccoli, and tomatoes. Small changes in diet can help ease the symptoms of vertigo. For example, staying hydrated by drinking 6 to 8 glasses of water per day has been found to be an easy way to reduce the chances of developing BPPV. Similarly, eating foods that are rich in vitamins and protein can be beneficial, while avoiding caffeine, deep-fried foods, and foods high in sodium (salt). This herb is great for improving cognitive functions. A wonderful natural anti-inflammatory for treating arthritis and digestive problems.